So in general I am against shots. 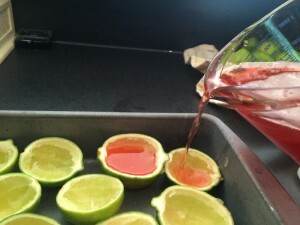 I think they are a terrible idea and nothing good ever comes of taking shots. Plus, it’s not like it would slow down my wine drinking so why would I waste room on shots? 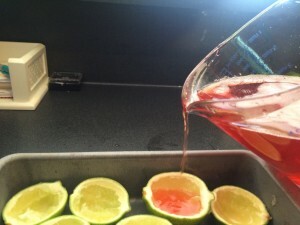 However, the other day I was perusing the inter webs and saw the cutest idea for Jell-O shots so I stored it away for some day when I may get the chance to make them. Which I thought realistically would be never. But what do you know! As luck would have it my best friend called me two days later to say she was thinking of having an adult pool party. 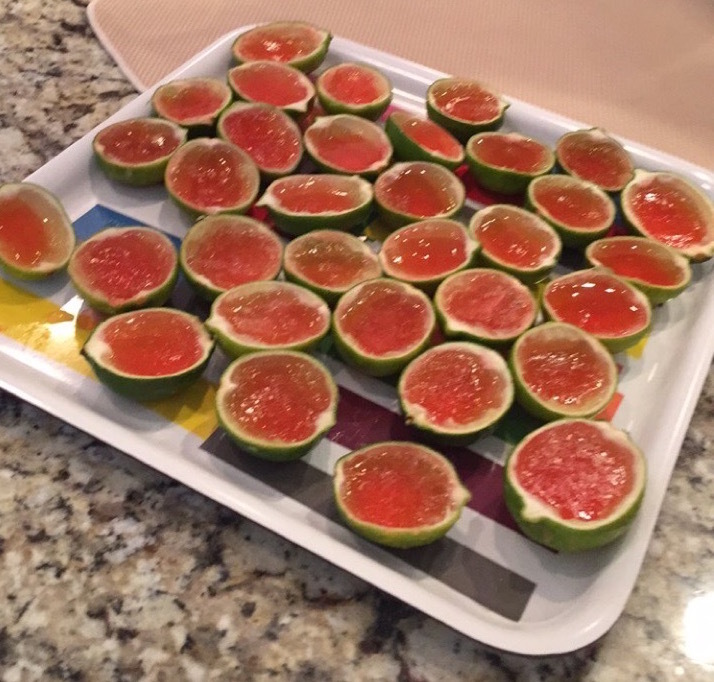 I told her she definitely should so I could make the Jell-O shots. Let me just go ahead tell you now, they were a HUGE success. Everyone loved them. They were delicious and adorable and even the guys were calling me Martha Stewart. Which I felt a bit guilty about because they could not have been easier to make. 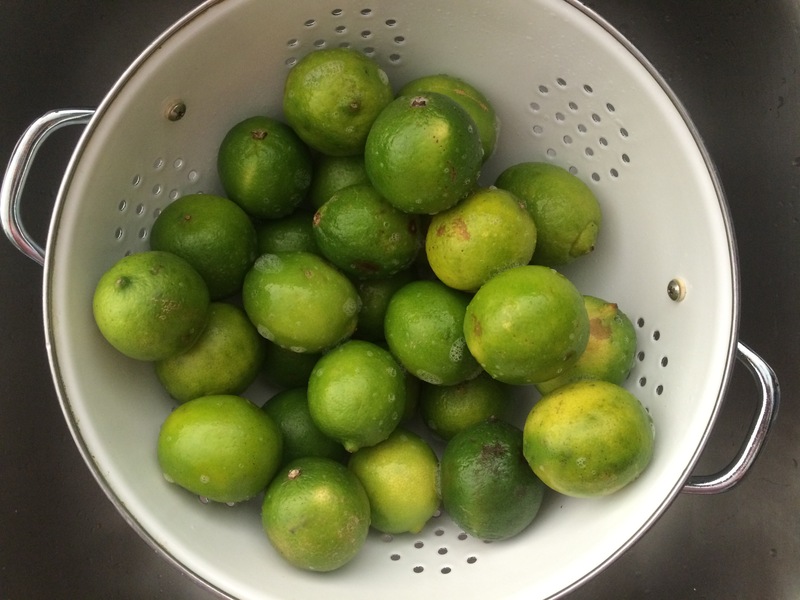 I started with about 30 limes and I washed them. 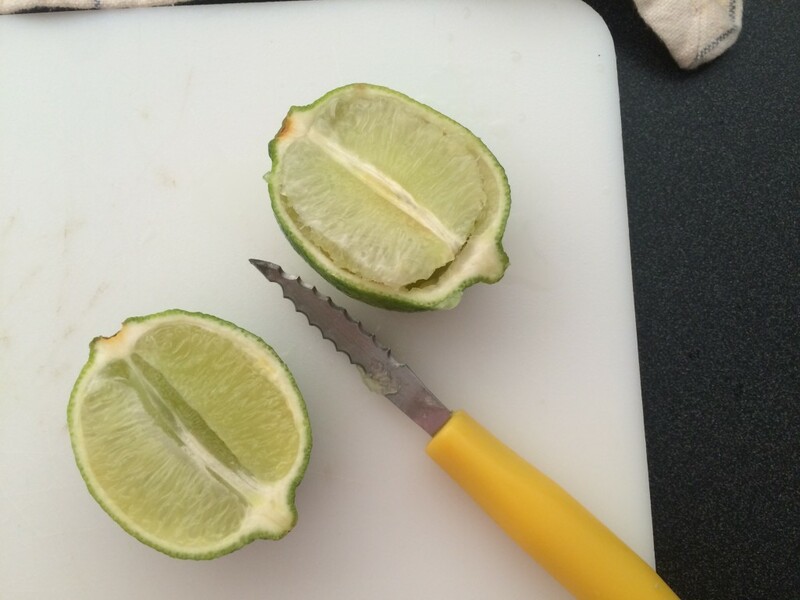 Then I sliced them lengthwise and scooped out the insides by using a curved, double sided serrated grapefruit knife. 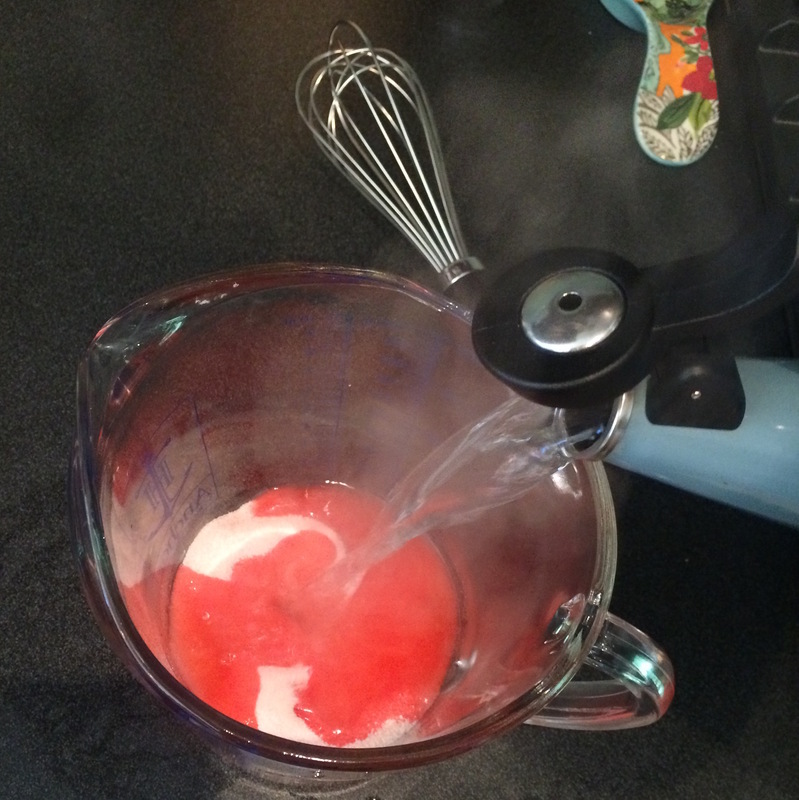 Next I made the Jell-O. 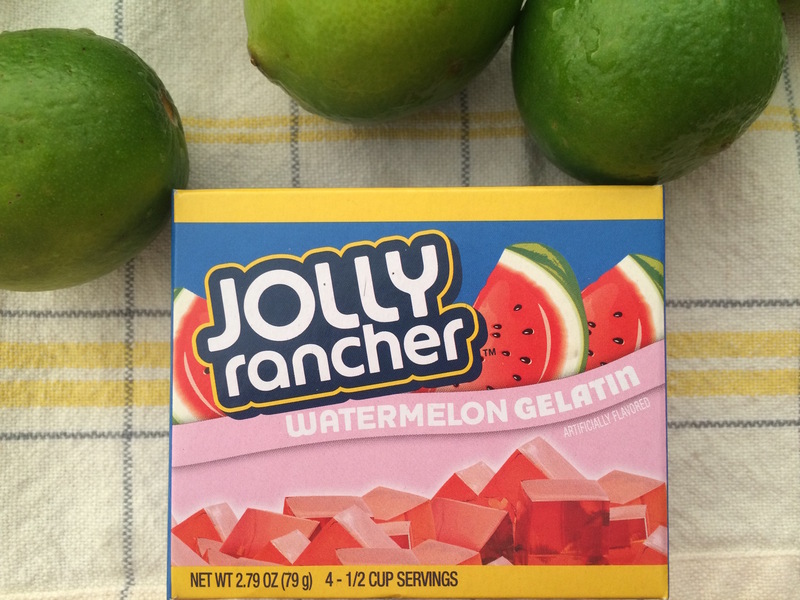 I bought the JollyRancher Watermelon flavor (which as it turns out, I don’t think is actually a part of the Jell-O brand). 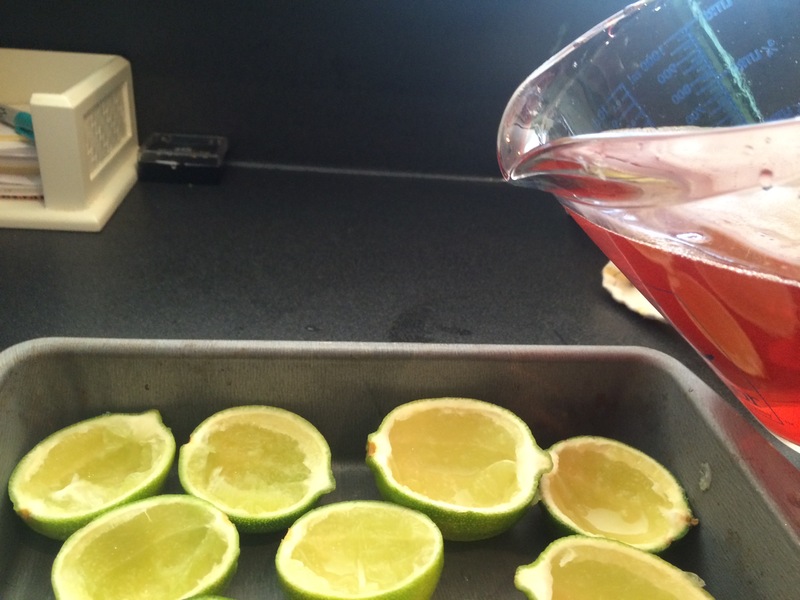 Just follow the instructions on the packet but instead of the cold water, you use tequila! 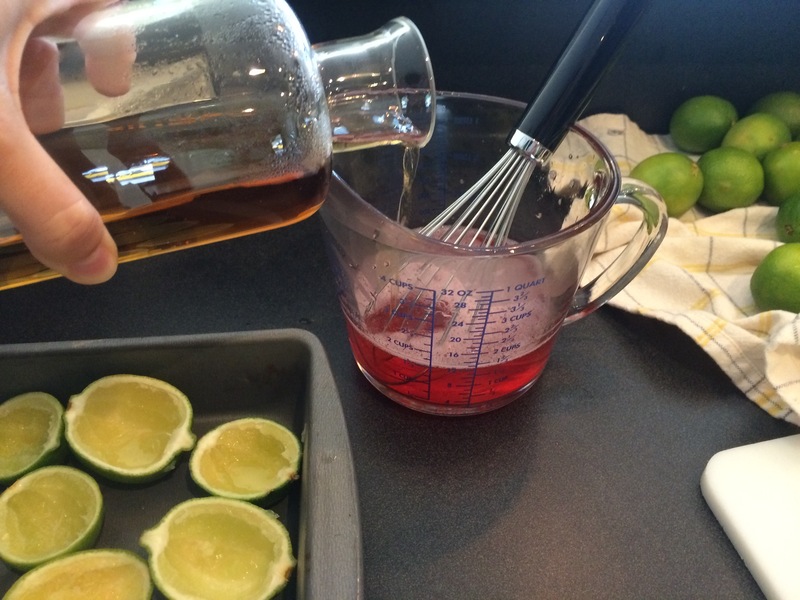 Then you pour the liquid into your little lime cups and put them in the fridge for four hours to solidify. 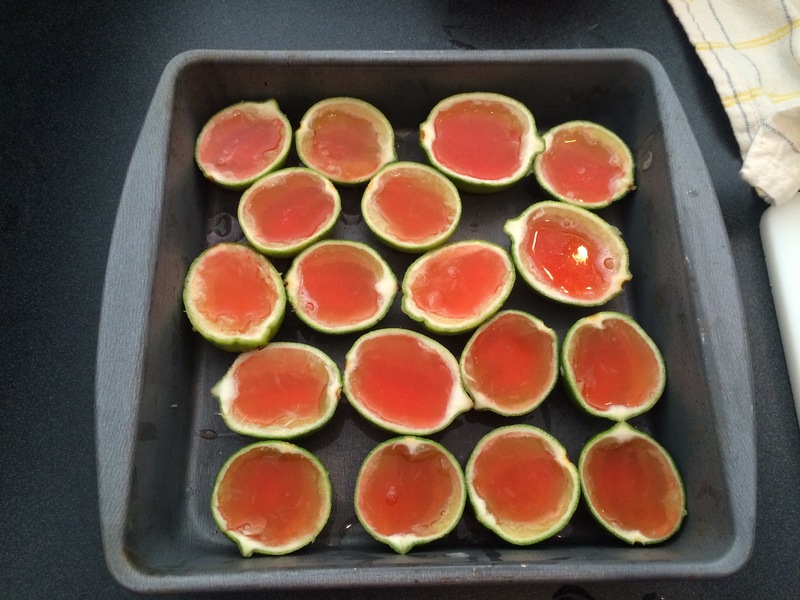 After, if you want, you can top them with a few black sesame seeds to make them look like real little watermelons. 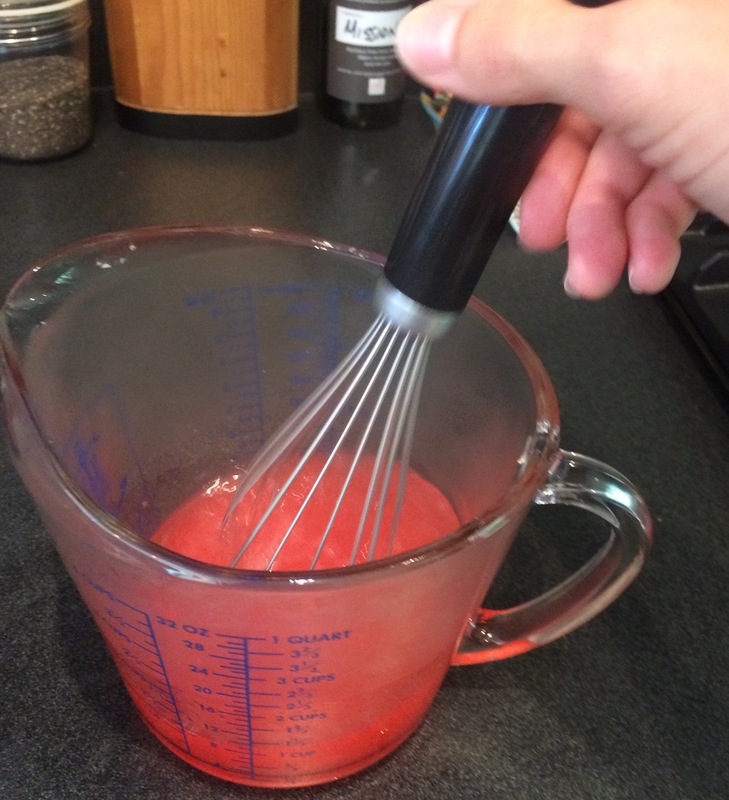 I didn’t have any sesame seeds and really, who buys watermelons with seeds anymore, so I made do without. I have never brought something to a party that had a bigger reaction than this that was so easy to make. Try this for Labor Day next weekend and you will be the hero of the party. Trust me. This was just a small portion of how far the liquid went. It ended up being many, many shots. 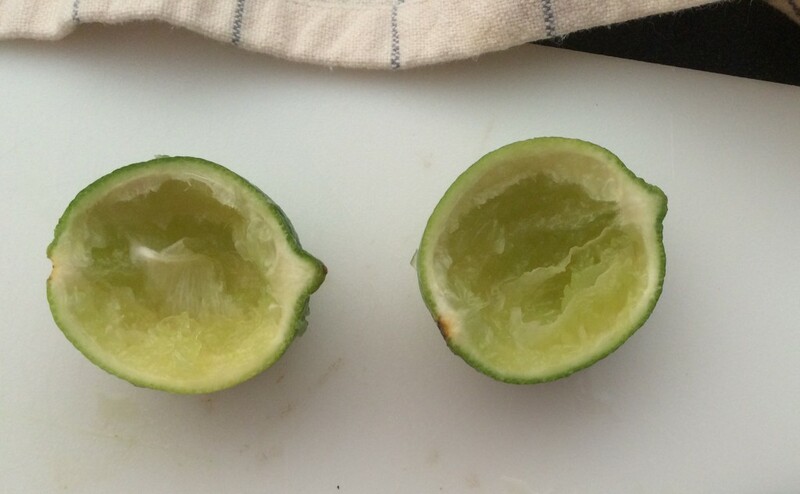 Thankfully I had bought a ton of limes just in case. PS: sorry for the crappy pictures. Will do better next time!